Last week two mysterious Strides were momentarily uploaded to the Lululemon site along with some Plum and Wish Express Wraps. Well it looks like someone was able to purchase that Wish Blue/MOPS (poncho print) stride and post it on ebay for $125. 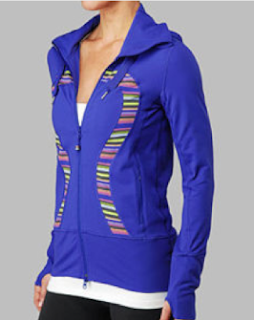 You can tell it’s a newer version Stride based on the thicker hood pulls and the zipper pull. Someone else was able to purchase the Coal With Roses Print one (pictured bellow) and loves it. Both are very cute!